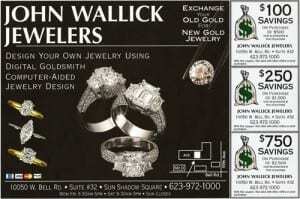 Custom Design your piece of jewelry at John Wallick Jewelers in Sun City, Arizona, near, Phoenix, AZ. 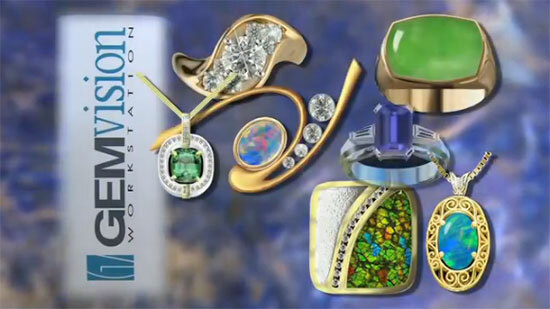 Imagine being able to watch your jewelry come to life! 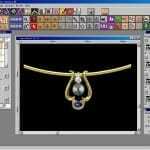 We’ve made this possible with a Digital Goldsmith. 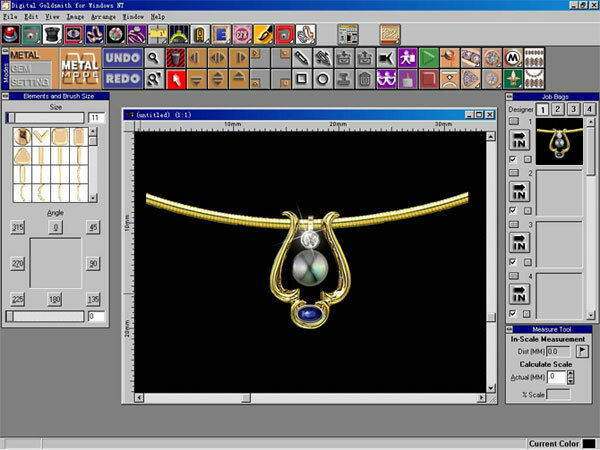 Digital Goldsmith is a computer-aided design center that lets us involve you in each step of the creative process until you’re absolutely satisfied with your design. Unlike sketches, which other jewelers use to lay out designs, we create your jewelry using thousands of video images of actual diamonds, precious stones, settings and other components. So, instead of having to visualize what your finished piece will look like, you can see it evolve right on the computer monitor. 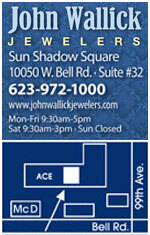 Once you’ve accepted a custom jewelry design, we can make a color print of it and give it to our bench jeweler. This photo offers a level of detail and accuracy never before available with counter sketches and further ensures that the finished piece will be made to the same exacting specifications that you’ve approved. 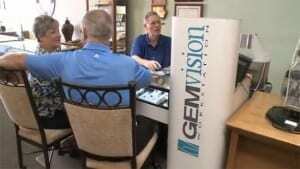 Let us help you visualize your custom jewelry designs with our Gemvision Digital Workstation. To find out how you can design your own masterpiece in minutes – whether it’s an original design or a remount of a treasured piece, please stop by our store.